Who is covered by the Public Liability Policy? How do I find out whether the event took part in was permitted? I am a member of an affiliated club. Am I insured through them? Why is a £15 million Limit of Indemnity required? Am I insured for all activities? What do I do if I become aware of or are involved in an incident? Is there a time-line for notifying Howden of an incident or claim? What is the timescale for receipt of acknowledgment from Howden to an incident notification or claim form? Am I covered for sportives, duathlons and other multi-sport events? What age is the membership insurance benefit covered for? This is for all individual and day members of Triathlon England, Triathlon Scotland and Welsh Triathlon, however there is a big difference when cover applies depending on your membership package type (see below). For British Triathlon members, it covers all your training towards a triathlon goal. Insurers would look for you to be able to evidence that your training was towards a triathlon goal, which could include providing details of your ongoing training programme or any details of an upcoming event you have entered. Please note - cover for cycling to and from work is not covered. For day members cover is only in relation to your participation in a British Triathlon "permitted" event on the day for which the day membership has been issued. That being the case, we recommend you join British Triathlon in order to obtain the appropriate protection. Go to the British Triathlon Events Page of the website, click on "Find an Event" from the drop-down menu and then, within the events search selection, pick the month and location where the event took place. If the event has been permitted by British Triathlon, a small green tick symbol will appear next to the event title. If the event was not permitted by British Triathlon, there will be a red exclamation mark. If the event does not appear on the list at all, then no permit has been applied for and therefore it is a non-permitted event. For events held in Scotland and listed on Triathlon Scotland Events Page, next to each event listing, the event permit status will either say 'in progress' or 'approved'. If the event does not appear on the list at all, then no permit has been applied for and therefore it is a non-permitted event. The club insurance provided to affiliated clubs is designed to protect Committee members, staff and volunteers only, in respect of the day to day management of the club. The club may have taken out accidental insurance for the members – however you need to check. The BEST WAY for you to ensure you are properly insured is to join British Triathlon as a member. The limit of indemnity is the maximum amount insurers will pay in relation to the settlement of a claim. In this case it is £15M. This high limit of indemnity is essential because there have been instances, in British sport, where claims in excess of £5M have been paid and the amounts are increasing year to year. Sadly, the cost of settling damages awards is increasing all of the time. In the UK, for example, a number of sport and recreation related claims have already been settled in excess of £5m. Bearing in mind it may sometimes take many years for a claim to be settled, it is essential that an appropriate level of indemnity is provided at the time an injury occurs. Claims arising from loss that happened prior to the retroactive date stated in the schedule, which would be the date that your continuous membership first commenced. Risks that require more specific insurance, e.g. motor, marine. The first £250 of each and every claim. There is no age limit linked to the Public Liability policy, but please follow any guidelines set by British Triathlon. Please contact their membership department if needed. Yes, but only for legal expenses for defence of civil actions. Insurance cover is only available to members who are resident in the UK for at least 180 days in any 12 month period. Such members are covered for their Liabilities in terms of recognised activities in both the UK and overseas, provided that any overseas trip is officially recognised/authorised by Triathlon England, Triathlon Scotland or Welsh Triathlon. If you are on an Essential membership you are covered for all training in a triathlon discipline that is working towards a triathlon goal that takes place in Britain. 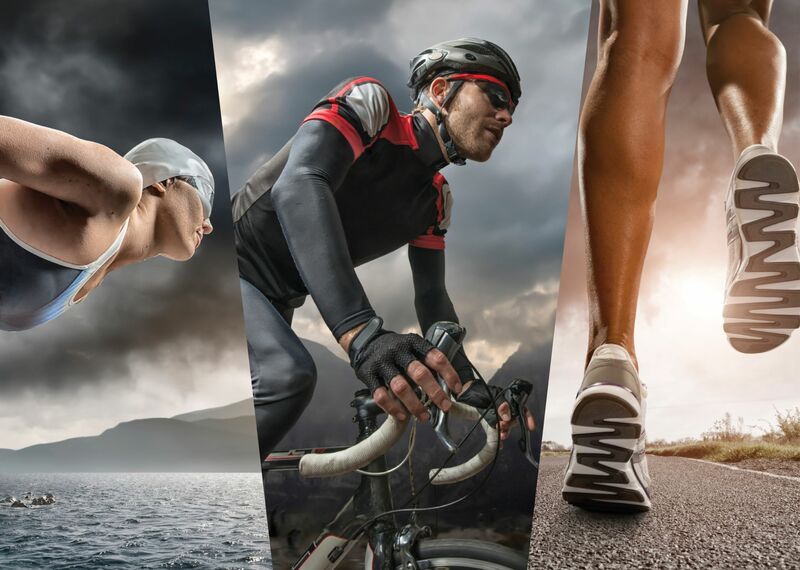 You are insured for participating any British Triathlon permitted event in the UK, any event sanctioned by ITU/ETU abroad and for all training, in the UK, in a triathlon discipline that is working towards a triathlon goal. You are also covered to take part in other, multi-discipline events (e.g. duathlon and aquathlon) but you are not covered when taking part in single discipline events (e.g. cycling time trials). You are insured for participating any British Triathlon permitted event in the UK, any event sanctioned by ITU/ETU abroad, TI, ASTC, ATU, OTU and CAMTRI events (as listed on the ITU events search - https://www.triathlon.org/events), Challenge, Powerman, Xterra and Super League Triathlon sanctioned events. You are insured for all training in a triathlon discipline that is working towards a triathlon goal that takes place in Britain or abroad. You are also covered to take part in other, multi-discipline events (e.g. duathlon and aquathlon) but you are not covered when taking part in single discipline events (e.g. cycling time trials). You should immediately record all relevant information as defined in the Notification Requirements. If there are verbal or written allegations made against you, you should complete the Incident Notification Form to notify Howden of the incident. Please note that this is a Liability Policy where Insurers decide if negligence attaches to you. Therefore any payments you make to any third parties will not necessarily be reimbursed. No if you are injured you may wish to seek legal advice on how to pursue a claim against the person(s) responsible for causing the injury. If you are aware of an injury to a third party, or damage to property, please complete the incident notification form AS SOON AS POSSIBLE. Likewise, if you have suffered a serious injury and believe you may be entitled to a personal accident benefit, please complete the claim form at your earliest convenience. Email submissions will receive an automated response by return; posted submissions will receive an acknowledgment, sent within 24 working hours of receipt by the Howden Claims Team. The actual settlement of claims will vary greatly, but of course Howden will endeavour to resolve each one as quickly and efficiently as possible. The member insurance covers you while training in Britain for multi-discipline events such as aquathlons and duathlons. The member insurance covers you while training for and participating in multi-discipline events such as aquathlons and duathlons, taking place in Britain. Insurance cover provided to members does not cover participation in single discipline events (e.g. sportives and time trials, road racing and swimming events). You will be asked to evidence that the event you are participating in contributes to your triathlon training. The member insurance covers you while training for and participating in multi-discipline events such as aquathlons and duathlons. Insurance cover provided to members does not cover participation in single discipline events (e.g. sportives and time trials, road racing and swimming events). You will be asked to evidence that the event you are participating in contributes to your triathlon training. Personal accident insurance on the Core and Ultimate memberships is valid for members from the age of five years up to the age of 85. For those members in the age-group 80-85, the personal accident membership benefit only includes cover which relates to death, loss of two or more limbs or loss of both eyes, and permanent disability as detailed within the policy schedule. You have no level of cover for training outside the UK. Core members You are not covered when training abroad, unless you are taking part in an ETU/ITU Championships you will be covered for 4 days of training abroad leading up to the day of the race. You are also covered when taking part in an ETU or ITU sanctioned event.